Business VoIP Solutions for Distributed Workforce | 8x8, Inc.
You've got workers here, there, and everywhere. But are they working together? Distributed workforces have become the new norm for a growing number of businesses. 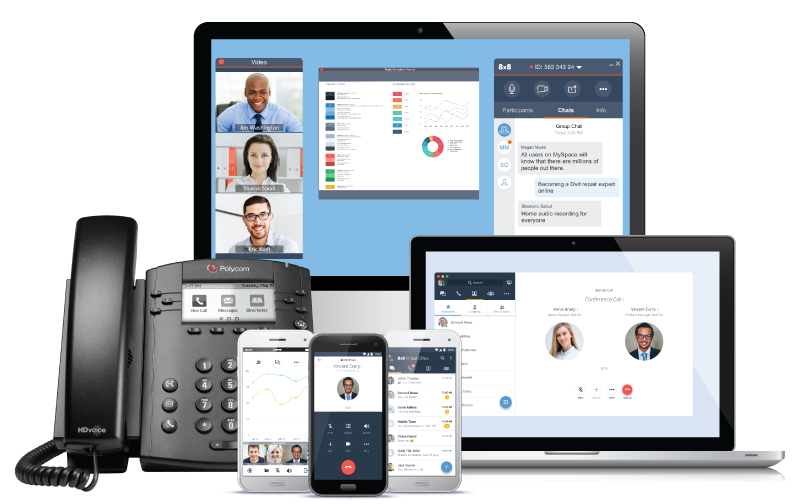 But managing different phone systems for different offices and remote employees can be very inefficient. How can you bring it all together? 8x8 Virtual Office Editions brings everyone together. Whether you are three independent consultants working from home or an enterprise-class business with multiple offices, 8x8 Virtual Office Editions can integrate your communications into one simple solution. Virtual Office Pro users get call recording, Internet faxing, online meetings, and iPhone integration included!